In 2003, as the human role in warming the planet was being widely accepted, it was pretty obvious which way the wind was blowing on efforts to reduce carbon in the atmosphere. There would be regulation, sooner if not later, and businesses that trod with a large carbon footprint had to decide how to respond. Should they fight new rules, accept them as inevitable, maybe hedge their bets with a little greenwashing while mostly standing pat, or start adopting some of the likely new rules to prepare for the inevitable and perhaps even influence the regulatory outcome? A handful of businesses, including heavyweights like DuPont, Ford, and Waste Management, alongside some public institutions like the city of Chicago, took this latter way in 2003, paying to join the nascent Chicago Climate Exchange. The exchange, or CCX, was an odd duck from the start—its members agreed to be legally bound by the privately run exchange’s regulations even though those rules didn’t enhance profits and likely made it more expensive to operate. The companies were legally on the hook for their promises, a much more stringent standard than, say, for those applying to be a socially conscious B Corporation or various certification schemes that—usually—are pretty pliant. Cap-and-trade had worked smashingly in reducing acid rain, and if a carbon cap-and-trade regimen was in the cards, knowing the intricacies of this new market—assigning a cash value to reducing carbon dioxide in the atmosphere—could help CCX volunteers both placate officialdom and make money trading offsets. From day one CCX members had been exceeding their mandated emissions reductions, a good result for the environment but one which flooded the market with their offset script. When Barack Obama—a founding member of the exchange’s board—was elected president, these members looked pretty smart, and when Congressmen Henry Waxman and Edward Markey introduced their American Clean Energy and Security Act, the members appeared positively prescient. The U.S. was clearly going to have a cap-and-trade system for carbon, and these guys were, as Hendrix would sing, experienced. Pausing the narrative for a bit, was it in the best interests of the companies to sign up for the CCX, which was now the largest voluntary cap-and-trade market in the world? After all, it’s a matter of faith that the primary duty of a company is to make money and in turn maximize the value of its owners’ stake in the concern, and in the United States, at least, the time frame for determining that is quarterly. That makes for a difficult case to act wisely when a payoff is beyond the horizon, much less to act altruistically, as Craigslist discovered in court. An academic cottage industry has arisen trying to square this circle, showing how companies “can do well by doing good.” Some evidence suggests yes, they can; other says no. “Things sort of break apart along very polar lines on this issue, as you might expect, between the optimists and pessimists,” says Will Gans, co-author of a paper in the current edition of the journal Environmental & Resource Economics that takes a new bite of this apple. “Our attempt was just to let the data tell us what was happening” by examining the public companies that joined the CCX , looking at both the companies’ profits and what Mr. Market thought about the companies. Two earlier papers specifically looking at the stock prices of firms taking voluntary environmental action suggested that, at least in the United States, the market punished these firms. However, when the spectre of regulation appeared in Europe, returns improved for companies that had made the leap. Gans, now working in the energy and environment practice for economic consultants NERA, and co-author Beat Hintermann, an assistant professor at University of Basel in Switzerland who has done primary research in carbon pricing, did find a pecuniary benefit to voluntary action—but most strongly when the possibility of regulation remains alive. In keeping with the ambiguous findings of past researchers—“You can get a different answer depending on where you look and what you’re looking at”—Gans and Hintermann’s results were pat. So why join? Gans reviewed a handful of hypothesis—greenwashing, heading of stricter regulation, public spiritedness—and then zeroed in the idea of preparedness, what he called a “regulatory hedge.” These companies expected to be regulated soon and they stood to gain by figuring out before the fact how to integrate this new CO2 order into their business plans and operations. The market, in turn, commended them for their perspicacity. “Those are things you wouldn’t think about unless you had to,” Gans noted, and the composition of CCX reflected that proactive approach: the largest number of publicly traded firms came from the utility, paper, and petrochemical sectors. Then a perfect storm hit the carbon market in 2010, as we resume the tale of the CCX. The global climate community punted on any binding action at the Copenhagen conference the year before, then the U.S. senate refused to even hear the Waxman-Markey bill, sinking the hopes—or fears—of many that the U.S. would mandate a price on carbon. Meanwhile, the bottom fell out of the carbon market, pushed along by a weakening global economy that knocked down carbon output and concern about the environment. From day one CCX members had been far exceeding their mandated emissions reductions, a good result for the environment but one which flooded the market with their offset script, dropping its value toward zero. The CCX essentially folded. It was sold to the firm Intercontinental Exchange, which had provided the CCX&apos;s electronic trading platform in 2003 and launched the European Climate Exchange in 2005. The current CCX only registers carbon offsets and isn’t taking on new members. Carbon taxing or trading is likely a dead letter in the U.S., but other nations—the European Union, Australia, and South Africa most notably—and the state of California, are plowing ahead. 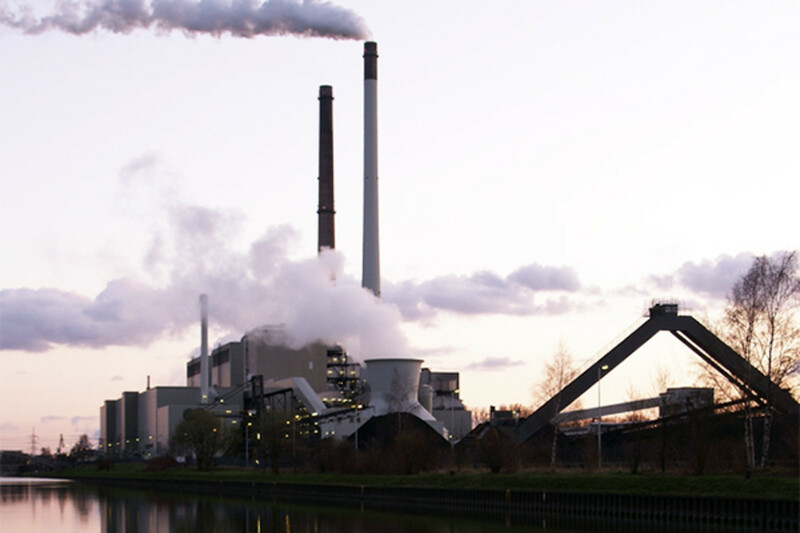 While the Europeans are struggling with their carbon market, Gans pointed to California’s now seven-year-old Assembly Bill 32 as an interesting example of a carbon-limiting experiment being conducted in a state-size laboratory. That maturing program is generating real money (and thus real controversy and continuing lawsuits).